First of all I want to apologize for not posting much, NaNoWriMo, school and work have pretty much devastated my free time. Now that we have that out of the way let’s get to the meat of this post. I’ve been reading around the blogosphere constantly about what it means that Cataclysm is offering a digital download on the day of release. Previously Blizzard has delayed the digital purchase of World of Warcraft expansions due to anger by traditional brick and mortar stores wanting a piece of the Blizzard pie. Not that they are offering it day of people are crying the death knell of Brick and Mortar stores, but I’ve got a secret for you: Cataclysm is NOT the death knell of brick and mortar game stores. How can I possibly think that? Let’s look at the simple facts. One of the biggest games retailers as far as brick and mortar goes is GameStop. Have you been into a GameStop recently? 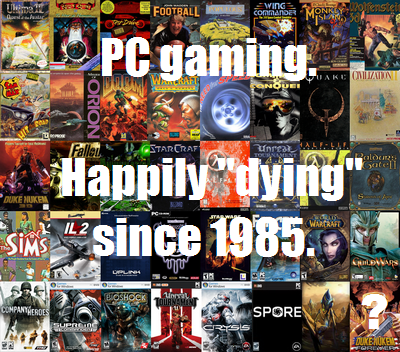 You’d be lucky to find even a new PC release and in some cases they don’t even have a PC section! Brick and Mortar stores care more for console games and they have for several years now, ever since the real death knell of Brick and Mortar (as far as PC games is concerned) released, Steam. Other than the traditional want for a box that many of the older gamers have, there is no reason to buy a physical copy instead of a digital in most cases. In fact in some cases it’s better to buy digital, such as Steam integration or in game bonuses. I can spend an hour going to the store and buying a physical copy, or an hour downloading it without moving. If PC games still came with large cloth maps and huge game manuals then sure I would reconsider running to the store, but as it is I live in an apartment and I don’t have enough room for the boxes I have now, let alone in the future. Another reason Steam is taking over PC game sales is their sales. You almost never see a PC game on sale in a traditional brick and mortar store, however Steam constantly has very VERY cheap deals on PC games. In short: Cataclysm going digital will hurt the sales traditional stores were hoping for regarding the next WoW expansion, but overall will have very little effect, as PC games aren’t a big concern for most stores. What brick and mortar needs to really worry about now is handhelds coming out using digital distribution and things like being able to buy Xbox 360 games on XBox Live. The next generation of consoles may be the complete death of traditional stores, as all but Nintendo will probably be digital only, as being able to charge 30% of a games sale price for the right to sell it on their store (like Apple is doing) is far too tempting to pass up. Plus this will eliminate the aftermarket for used games. Blizzard recently announced, and then retracted, their decision to make RealID (I.E. showing your real, full name for your account, to everyone) part of the forums. There were over 2000 posts about how horrible this was and how it would ruin peoples gaming experience. My opinion is slightly different than most. You see, I am completely for RealID on the forums, and everywhere on the internet really. 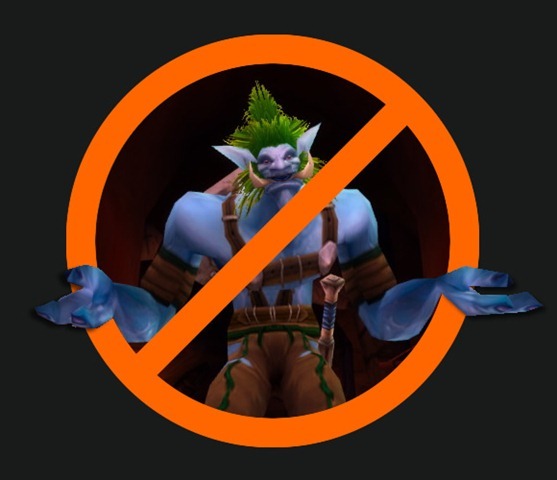 We all know that the reason the WoW forums and almost the entire internet is trollish and useless is because of anonymity. You give people the ability to do and say whatever they want without any consequences or even potential consequences and they will, 99% of the time, do terrible things. I know why people are crying out against it, and there are three reasons. 1) They like to troll. This is probably in the majority. Sure they are posting on their level 80 mains about privacy, but it’s their level 1 trolling that is compelling them to do it. 2) Right to Privacy. This one is complete trash. If you are on your own web page, then sure you have a reasonable right to privacy. If you are on a public forum, just like being in a public place, you have given up your reasonable right to privacy. 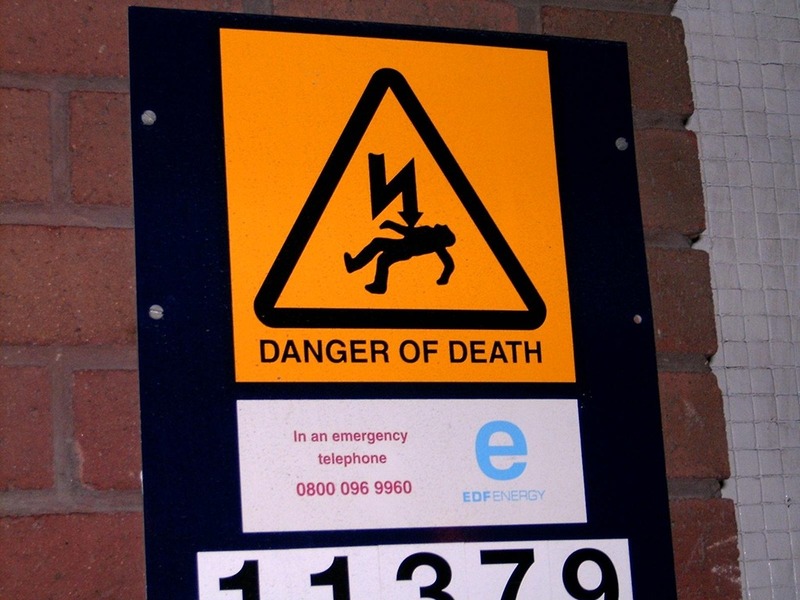 3) The Danger. People have been railing against this because if people know your real name they will hunt you down and kill you. This is utterly retarded. Plenty of people know my real full name. Most of the people I work with, most of the people I go to school with, dozens of ex-friends and ex-girlfriends, half of the people my parents know, etc. I’m not worried about any of them tracking me down and killing me, and many of them live in or around the town I am in, not halfway around the world. You know WHY I’m not worried about them trying to kill me? A few simple reasons really. 1) Murder is a crime and most people do not want to go to jail. 2) It is a lot of effort to go through and if they are that insane AND dedicated they will soon rule the world. 3) I am a nice guy. I don’t call people asstards for no apparent reason and, while at parties, I don’t jump into conversations and just call everyone douches, throw my drink at people and then run around naked. Having my real name on the internet, or on the WoW forums, does not exponentially increase my chances of dying. Might someone die because of it? Only in the since that people die because SOMEONE built a road that he was walking on when someone mugged and killed him. I do however understand peoples complaints that it wasn’t always a requirement, and that to require it now is wrong, since many people are addicted at this point and would keep playing even if they didn’t like the rule. I just hope that they make this mandatory for their next MMO, and for ALL MMOs in the future. I was to see [CharacterName][RealLifeName] says “….” in chat from now on. Make people deal with the things they say and do. I understand why many AAA MMO developers need to make more money. We’ve been paying $14.99 or about that since Ultima Online and the development cost of video games has gone up drastically since then, especially top tier MMOs. I know that in order to make back the money they put into the game developers are going to need to either raise the price of a subscription (suicide for any new game, and most likely for most established games unless World of Warcraft does it first), or find alternate ways of making money ON TOP of the subscription model. What I do have a problem with is companies fleecing their players for no real reason other than the fact that they can. An angry fire was sparked inside of me when I read about EverQuest II’s new Cash Store mount, the Prowler. This mount is priced at, you guessed it, $25! $10 MORE than a monthly subscription. That means that the developers feel that this mount is worth almost double the content that I would experience in a month of gametime. I know some people are going to already be angry and thinking “Blizzard did it first!” and fear not, I am COMPLETELY DISGUSTED by what Blizzard did. Let’s do a little math problem. 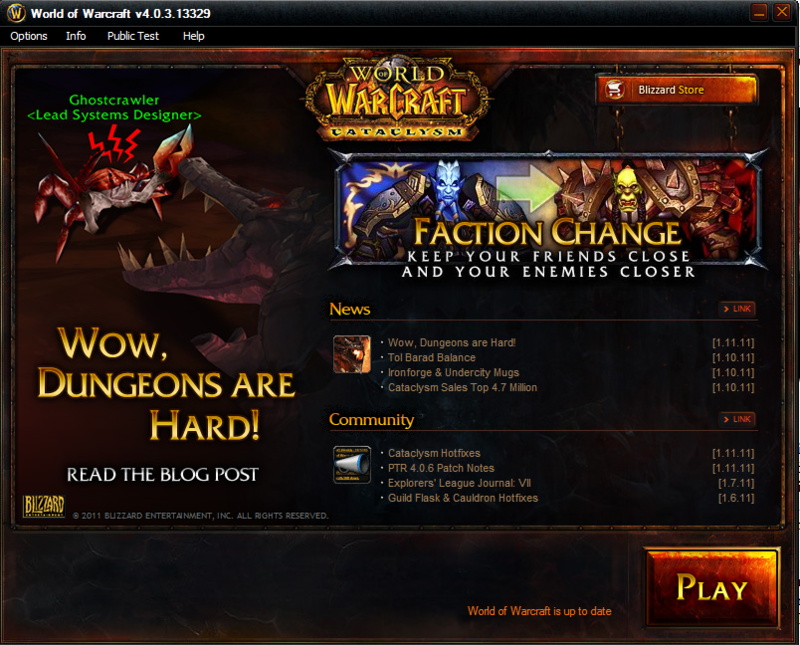 World of Warcraft (Last I heard) has 11 Million subscribers worldwide. Blizzard Entertainment has (according to Wikipedia) 4,600 employees. This math may not be entirely accurate, but it’s going to be good enough for this purpose. $14.99 times 11 Million subscribers equals 164,890,000! A MONTH! Let us assume that Blizzard Entertainment pays ALL of it’s employees $100,000 a year. This is almost certainly NOT the case, but let’s pretend. A full year of salary for their entire staff would be $460,000,000. In three months they make $494,670,000. In four months they make over the entire cost of all of their employees being paid $100,000 a year, which I am CERTAIN is NOT the case. Over a one year period, JUST off of World of Warcraft subscriptions, Blizzard Entertainment makes $1,978,680,000. This does not count the actual SALES of World of Warcraft or it’s expansion packs, or of any other Blizzard game. The Celestial Steed made Blizzard Entertainment more than $3.5 MILLION dollars! In about a MONTH! 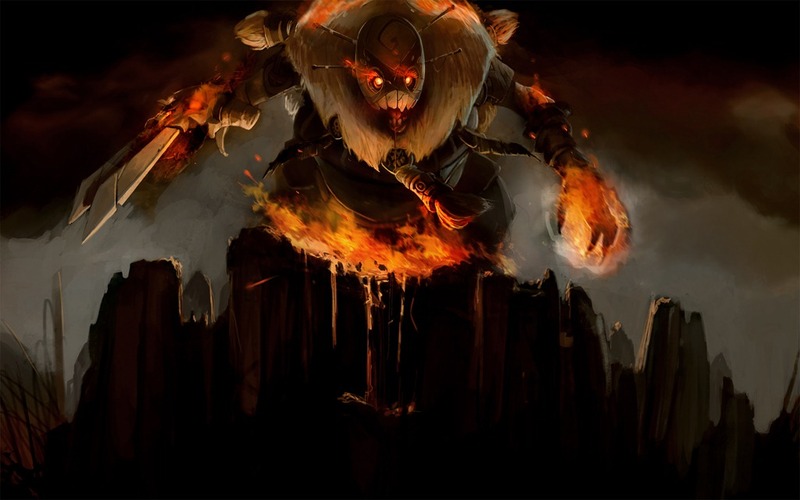 In order to justify JUST the subscription cost alone, not to mention making people pay for a mount, a $25 mount, Cataclysm better come with three times the landmass of current WoW, contain next generation graphics, AI and gameplay, and have it’s next three years of content already made and ready to be given as patches at regular intervals. Otherwise they’re just duping idiots into giving up their money, and I’m pretty sure being a conman is illegal. Let alone an entire company of them. Of course I blame the entire thing on Activision and their CEO Bobby “I want to kill fun” Kotick. Not interested in StarCraft 2? That’s not entirely accurate, but it does convey some of my feelings towards SC2. Let’s get one thing straight right away, I LOVED StarCraft. I spent dozens of hours on that game and I enjoyed every bit of it. All of that in the single player campaign. That is exactly how I will enjoy StarCraft 2 as well, single player. Almost everyone is really excited for the multiplayer, but I’ve never been a fan of multiplayer unless it was an MMO or the occasional FPS. So why am I not that interested in StarCraft 2 if I LOVED the first game? Do I doubt Blizzard? Not at all. The StarCraft cash shop has me a LITTLE concerned, but nothing too serious. No the truth is that I have heard the game is StarCraft with better graphics and a new story. That sounds awesome to a lot of people, but I am horrified that it IS like StarCraft. The industry has come a long way since StarCraft released. Games like Company of Heroes and Warhammer 40,000: Dawn of War II have released, forever changing my view of the RTS. Gone was the tedious base building (that admittedly some people love. Some people ALSO love spread sheets.) and gone was the hour and a half of gameplay that saw no combat as you built up your base. 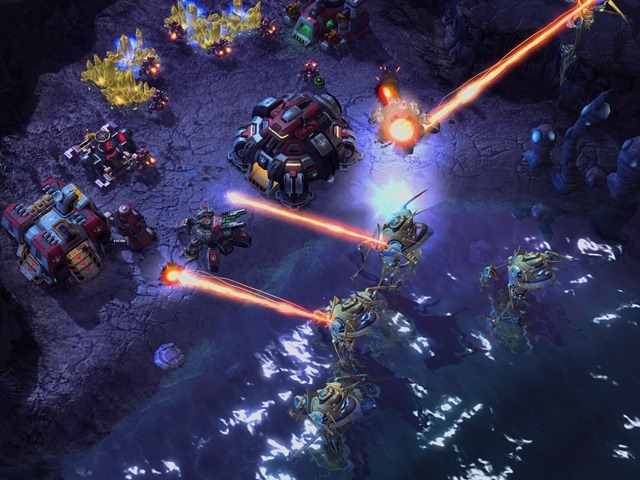 In those games you kept moving, and that is something that StarCraft 2 has apparently not done. I just don’t think that I can go back to the build+bake style of RTS. Speaking of Dawn of War II the expansion launches in four days, March 11th 2010! Chaos Rising!